The much-anticipated launch of BeatsX could be occurring soon, according to some behind-the-scenes movement happening on Apple.com where the earphones are now listed as "Available Today" in two stores in Manhattan: West 14th Street and the Upper East Side. At the time of writing, customers can't order or add BeatsX to their bag, however, so it's still unclear when exactly the earphones will be up for purchase. Adding to the evidence of an imminent launch is Best Buy, which has quietly updated its website with a "Check Stores" button, as noted by one Redditor. The button still presents users with an out of stock warning, but the backend movement to prepare for the arrival of the BeatsX suggests a launch soon, and Apple's website has included a "Coming February" release date since December. According to French reseller Fnac, BeatsX will be available to purchase February 10, and Fry's Electronics has the earphones listed with a February 20 launch date. Looking at reseller websites typically isn't the most reliable source of predicting accessory launches -- Fnac said the AirPods would launch November 30, while Fry's previously said the BeatsX would arrive January 23. Update: New Apple retail stores across the east coast have gained BeatsX stock, and some have quickly gone back to listing the earphones as "Currently Unavailable." It's still unclear exactly what's going on or when BeatsX will launch online, but iStockNow has a BeatsX activity tracker for those interested in following new developments. 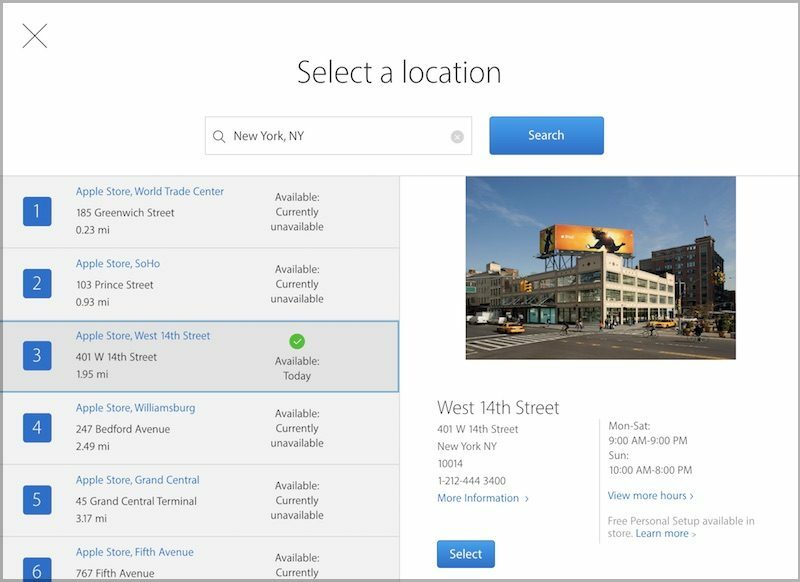 Update 2: iStockNow appears to having trouble tracking BeatsX availability at the moment, but a handful of stores along the U.S. East Coast continue to show availability on Apple's site. Online orders, including Personal Pickup at stores where there is availability, remain unavailable. Update 3: Some users are reporting Apple has removed the availability checker from its site, simply stating "Apple Store Pickup is currently unavailable." iStockNow tells us they are continuing to check Apple's site but have added a filter to not trigger alerts unless the headphones are also available to order for delivery or pickup. They are on my wishlist since they were announced. I'm sure I'm not the only one. Very satisfied airpods user and haven't looked back since. You have to remember that you do not reflect the needs and desires of others. Many want this product, even if you don't. I would consider the Beats X's (or even the Power Beats 3) if someone can confirm that they have a more natural EQ; if it's the usual "listening through a blanket" (as God, I mean Lemmy, put it) bass flub, then count me out. I've got the Powerbeats3. They sound good for what they are. Apple has done a great job with Beats sound quality as of late. If you're an audiophile though you'll probably want to look elsewhere. Snowflakes always think they talk for most others. I'm curious about the fit of these BeatsX. I must have small ear canals, as I've found many headphones quite uncomfortable in my ears. For example, I've got the original Jaybird X earbuds, and they are extremely uncomfortable because the part that goes in the ears is so large. On the other hand, I've found the wired Klipsch S4i and R6i are the most comfortable in-ears I've tried, owing to the narrow part that fits in my ears. Klipsch does make two Bluetooth versions of the R6, but I'm not thrilled by the large piece that goes behind your ears in the original Bluetooth R6, nor am I thrilled by the price of the neckband R6 (though, that probably will be discounted by 40% or more a year or so from now, judging from typical Klipsch price trends). Even when they do come down in price, I'm not sure I like the neckband style. The BeatsX look appealing because of the W1 chip and decent battery life. Comfort is the big question market for me. Anybody else with small ear canals found success with Bluetooth in-ear phones? I listen to music, podcasts, and audiobooks, as well as take phone calls. I'd like something I can wear at the gym or while jogging. Also curious if any of these inexpensive China source headphones that pop up on Amazon are any good, though I don't mind paying the extra for BeatsX if they are comfortable. Rubber earphones tips don't fit well into my ears at all, but apples earphones have always worked perfectly for me, that's why I chose AirPods out of the many cheaper competitors that were already released. Not sure if they will fit you but they do not fall out, and even while running or jumping around they stay put. I have your same problem, after using the airpods for a bit with negative results I got a pair of jaybird freedoms and they fit amazing! the headphone itself is tiny and once you get the right size comply tips they stay put and feel super soft in your ear. The battery life is not the greatest at only 4 hours on the headphones themselves and an additional 4 hours via a little battery clip.... and the charging method I am not a fan of because you have to attach the little battery clip and charge it that way.... I am willing to deal with these 2 negatives since the fit is so great and the sound quality is awesome... they have an app as well that serves as an equalizer, you can download preset sounds from an online community or mess around with it yourself. The earphone mold ('http://a.co/13wKzNo') is between $10-$15 on Amazon ('http://a.co/13wKzNo'). * I only use a little bit instead of covering the entire ear. The article is for in ear monitors vice custom ear tips which is what we are more interested in. * I don't suggest pushing the earphone into the mold unprotected. Either wrap the earphone in plastic wrap or cover any openings with tape. Alternatively, wrap the mold around the earphone. On my first pair, the mold material pushed its way into the driver opening and blocked the sound. I was able to get it out but at the expense of removing and ruining the wire mesh protecting the driver opening. * Before applying and mixing the mold, use the material from one of the mold mixture to test how you are going to apply the mold and how much you need for your ear.